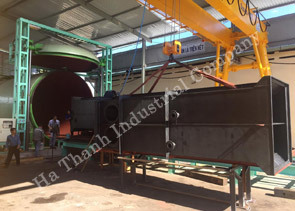 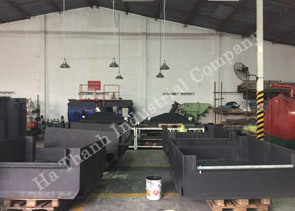 Our rubber lining shop of approx. 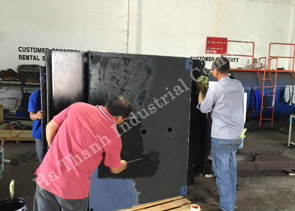 1200m2 and the storage yard of 800m2 in Ba Ria–Vung Tau province. 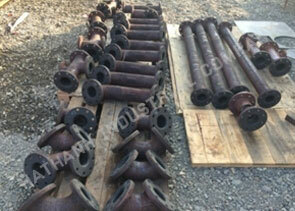 And we can expand more yard depend on customer equipments provides. 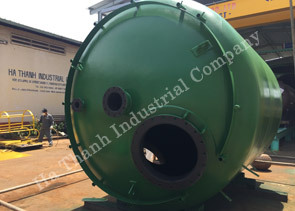 As for manufacturing facilities, we have the large-sized autoclave of 4,000ø x 12,000L, the small-sized autoclave of 1,300ø x 3,600L, etc. 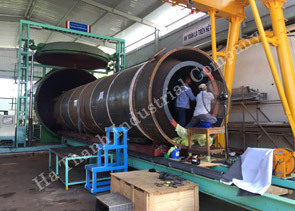 We undertake application jobs for various pipes from small-diameter pipe of 25A to large-diameter pipe of more than 1,000A as per your request. 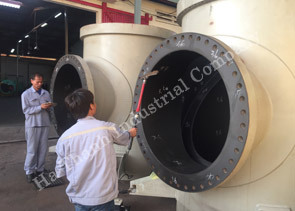 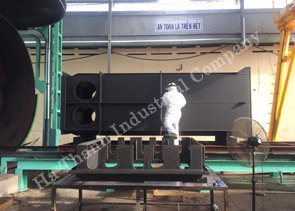 We have special tools and facilities for inside pipe rubber lining from 1inches to 12 inches for save cost and time to deliver with large quantity order. 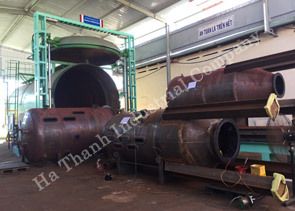 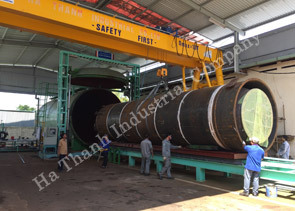 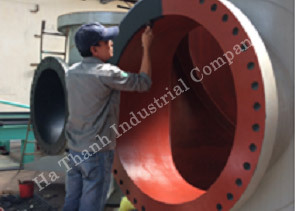 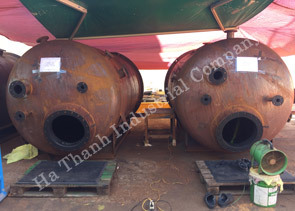 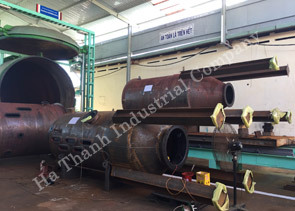 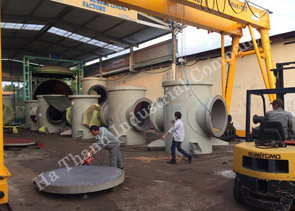 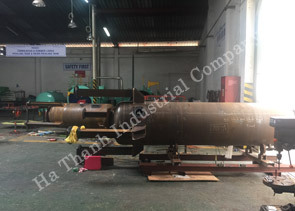 We have currently carried out the lining application for the large-diameter pipes and long pipe from 1inches to 12 inches with lenght 6 metter max. 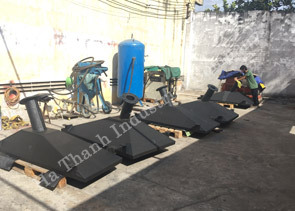 and a thousand square metter for tanks, vessel, equipment and 52 set boat landing for the overseas big project. 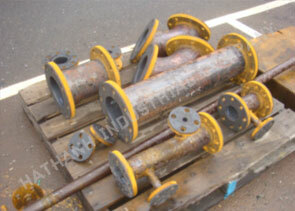 Our client's exported to Belgium, Australia, Japan, Malaysia, Singapore, Cambodia, Taiwan, Ivory Coast, Mexico. 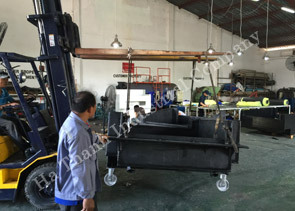 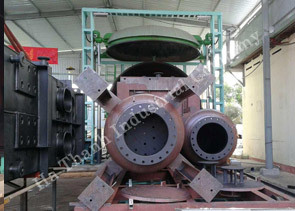 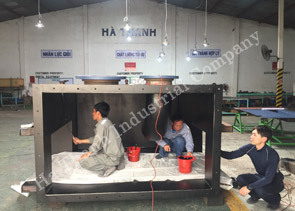 Expert workers carry out application very carefully, so please leave it to us.